When you move into a home, there is a lot to occupy your attention. With all of the tasks at hand within the house, it can be easy to put landscaping jobs, especially those seen as nonessential, on the back burner. If you are at a point where you can turn your attention to the grounds surrounding your house, though, we recommend that you give our staff a call. Integrating a landscape lighting system into your property is a great way to make your property more secure, safe and visually appealing. Of course, in order to fully benefit from your landscape lighting in Newington, CT, you must hire a professional electrician to do the job. 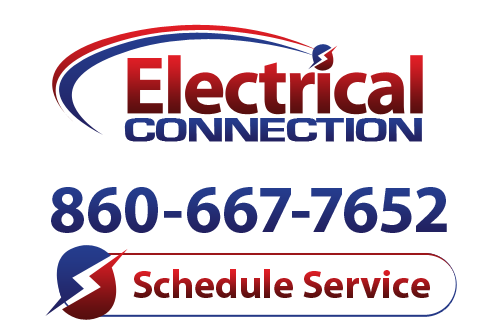 That is why you are wise to follow our previous recommendation, and to schedule your landscape lighting services with the pros at Electrical Connection, Inc. There are a few ways in which a great landscape lighting system can benefit you. For many, it is entirely a matter of fashion. If you have a unique architectural flourish on your home, for instance, you may want to highlight that aspect of your house with a flood or spotlight. Our electricians will make sure that your fixture is properly placed and of the right design so that it accentuates your architecture without blinding you as you pass by the window. Many homeowners may also choose to put the spotlight on a particularly mighty tree in the yard. Do you have a small pond on your property? A shallow pool? Consider the installation of underwater lights to tie the aesthetic together nicely. Of course, there are also very practical benefits to be had by installing landscape lighting. Your drive and walkways, for instance, can be lit up in a stylish manner that also serves of the function of making them as safe as possible. You may also choose to gently light garden borders, to protect them from any pedestrian traffic. No matter what your goal is in scheduling professional landscape lighting services, you can count on our electricians to guarantee the realization of your unique vision.